If there's one part of getting a refund from the IRS that is difficult, it definitely has to be waiting on your money. Luckily, you can check the IRS tax refund schedule so you have a better idea of when it is coming. While nothing is set in stone, this will give you an idea of when you may be able to expect your money. Obviously, if you do a direct deposit then you get your money a lot faster than a paper check and for those who cannot wait, some places will give you an advance on your tax refund to get your business - such as car lots and check cashing places (for a fee). The important thing is to file as fast as you can so that you get ahead of the rest and can get your refund as soon as possible, according to the tax refund schedule from the IRS. I saw this last night on a friend's post on Facebook and have to buy some for myself. 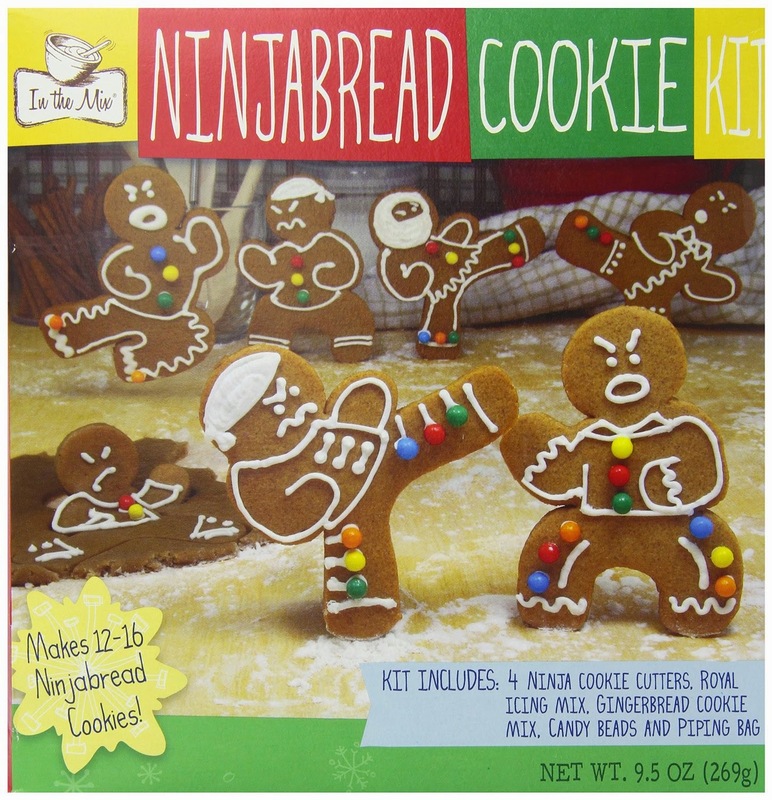 They're Ninjabread Cookies. They're cheaper here locally so I plan to get some tonight and make them this weekend. I hope they're not one of those Pinterest type fails where I have to put "nailed it" on there and it's a disaster. I'll share photos once we've made them. Heck, we still have to take some Elf on the Shelf pictures of our Elf, Slidell. He's very evil! Yes, it's almost here. No, not Christmas but rather tax season. Some people are wondering when you can file your 2014 taxes in 2015. Some people believe that you can file as soon as the new years starts but that is actually not true. Even if you aren't waiting for a W2 from your employer, the IRS has to actually open up tax season, which typically starts between January 15th or so up till January 31st. Unfortunately, last year you could not start filing till January 31st, which had some people having to patiently (or impatiently) wait for a refund. You may not be able to start your taxes right now or even at the first of the year. However, you can at least start getting prepared by having everything in order such as receipts and deductions. Once you get your W2 forms, and yes, some companies make you wait until the last moment, you can even use an online tax company like Turbo Tax in order to get started. Tax season will be here before you know it and I know a lot of people who always look forward to the EIC (Earned Income Credit) that they get each year. We've never gotten it since we don't have children (although I did see if you don't make a certain amount of income you may still qualify) but it's good to be able to look and see what you might get back. The Earned Income Credit Table for 2014 is the perfect solution. This table allows you to see what the prerequisites are in order to get back the Earned Income Tax Credit so you may be able to gauge what your refund will be. At the very least, it will give you a better idea of what you're looking at before you get started. Check it out - it's free to use and gives you an outlook of your tax refund. We always get ready for Christmas way in advance and usually have our shopping done long before December. Well, most of our shopping is done but I didn't even realize that it is just two weeks before Christmas. I haven't mailed out my cards yet and we haven't finished all of our shopping; we have not even decorated. Somehow, getting busy with work, photo shoots, etc, it crept up on us. At least we're almost done, the cards are easy to mail out, and the decorations we'll do this weekend after a shoot. Christmas, you almost got me this year!